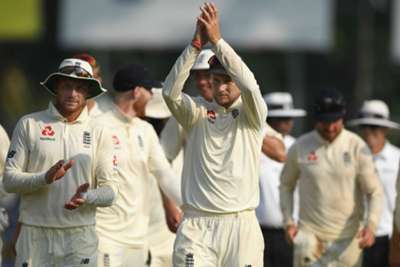 England have unsurprisingly kept faith with the Test squad who completed a series sweep over Sri Lanka last month for the tour to the West Indies in January. Ollie Pope was named in the original party for the trip to Sri Lanka but was released after the first match in Galle, allowing him to play for the England Lions instead. The Surrey batsman is omitted from the outset this time but Joe Denly - who was an unused member of the squad in the 3-0 victory - retains his place. Denly is also selected in the one-day squad for a five-match series that follows the three Tests. He was called up for the limited-overs games in Sri Lanka following an injury to Liam Dawson, who is not included this time. Seam bowlers Tom Curran and David Willey both missed the 3-1 ODI series triumph but return at the expense of Sam Curran and Olly Stone. England will play Tests against West Indies in Barbados, where the series starts on January 23, Antigua and St Lucia. The two teams will then meet in the one-dayers before the tourists complete their time in the Caribbean with three Twenty20 fixtures, though they have yet to announce a squad for those games. England Test squad: Joe Root (captain), Moeen Ali, Jimmy Anderson, Jonny Bairstow, Stuart Broad, Rory Burns, Jos Buttler, Sam Curran, Joe Denly, Ben Foakes, Keaton Jennings, Jack Leach, Adil Rashid, Ben Stokes, Olly Stone, Chris Woakes. England ODI squad: Eoin Morgan (captain), Moeen Ali, Jonny Bairstow, Jos Buttler, Tom Curran, Joe Denly, Alex Hales, Liam Plunkett, Adil Rashid, Joe Root, Jason Roy, Ben Stokes, David Willey, Chris Woakes, Mark Wood.